and keep doing it !!! 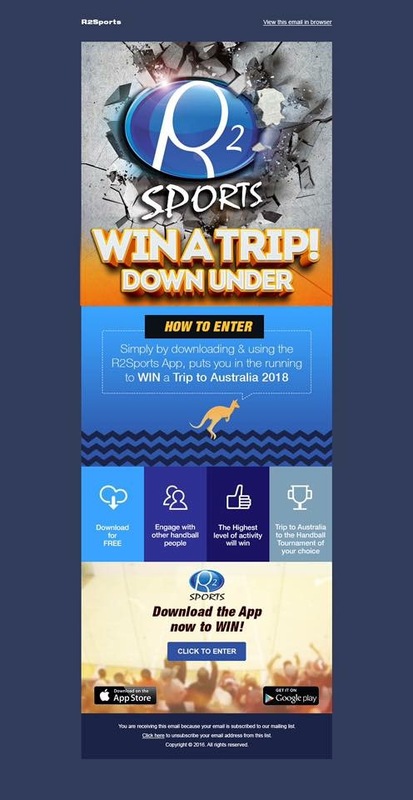 The team at R2sports, in conjunction with the Australian Handball fraternity, have put together the Opportunity of a lifetime..
Share your favorite tournament, division, match, or player to your friends on Facebook, Instagram, Email, SMS, anywhere! Do these over and over and you are in the running to head down under in 2018 for the tournament of your choice.. The R2 Sports App is a free download on the Apple and Google Play store.